Many places in Arkansas (and across the United States) have names that originate from native American, Spanish, and French languages. For example, the state capital of Arkansas (Little Rock). 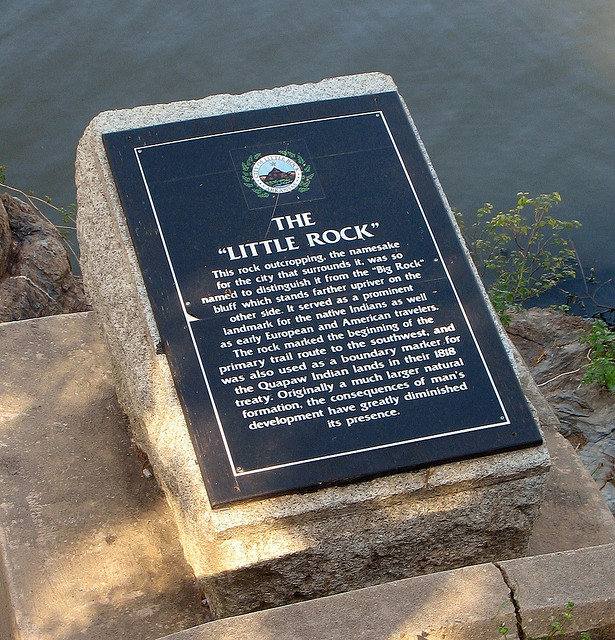 In 1722, French explorer Bernard de la Harpe landed near a small rock formation on the Arkansas River which he reportedly named "La Petite Roche" (The Little Rock). He built a trading post nearby, close to Quapaws residing in the area (the humble beginning of the capital city of Arkansas). Add Media for Origin of "Arkansas"